You might think that finding the best SAT prep book is tough when there are so many SAT study materials are available in the market. Not to worry – We’ve evaluated top SAT study guides from the market and ranked them below in this article. Getting a good score in SAT exam is easy when you have right preparation material available to you. That is why we’ve created this list which, contains top SAT books with detailed reviews and pros and cons of each option. The Critical Reader, 2nd Edition 354 NA Free !! 1.15.2 Follow Us on Facebook! 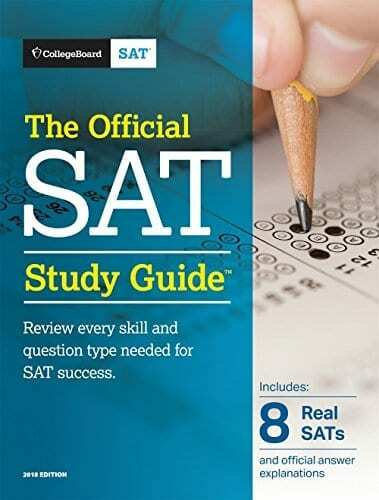 The Official SAT Study Guide is considered the most authentic and best SAT prep book, as it is written by the authors of the actual SAT exam. The good thing about this SAT prep book is that it includes eight full-length practice tests as per the new SAT exam format. The practice questions are accompanied by detailed answers, though the explanations do not go into great depth. Since these tests are prepared by the same team of authors who develop the real SAT, you can feel confident that you will be well-prepared for the exact style of question that will be on the test. Apart from the mock tests, the book also covers other content. For example, it explains the test structure and provides a few pointers and techniques on how to best approach the questions. The major drawback of this SAT prep book is that you can access SAT practice tests for all four sections online for free. Therefore, there is no point in buying this book unless you are not comfortable studying online and prefer using the hard-copy material. One more thing about the Official SAT Study Guide is that it does not contain chapter-based study material. For a serious SAT aspirant, it is ideal to complement your study approach with other SAT books besides The Official SAT Study Guide. I would highly recommend The Complete Guide to SAT Reading for those in need of SAT reading practice. Through this SAT book, you will learn what exactly the questions are like, and your passage reading will improve. The passages are of high quality and realistic. This book promises that after you complete it, your reading power will go to the next level. Get this book if you are focused on enhancing your reading skills. Ivy Global’s New SAT prep book has a variety of different practice tests. This SAT study guide covers everything in an accessible format. The book contains more than 600 practice questions. Ivy Global has done a fantastic job of creating test-taking strategies. You will find reading and writing approaches that are evidence-based, and the new 1600 point scoring system is also explained. Inside, you will find 3 full-length practice tests and 400+ additional problems and exercises. moreover, the book includes 7 Practice essay prompts and drills for building reading and writing skills. 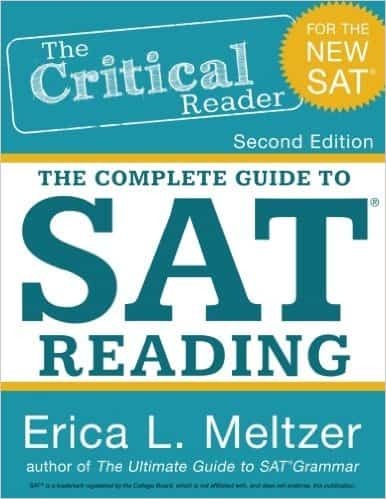 The book will give you the actual SAT experience. 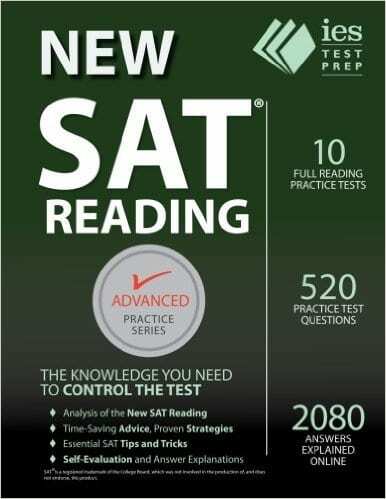 Barron’s New SAT prep book is one such book aiming at comprehensive coverage of each topic. It includes an excellent blend of up-to-date reviews, study advice, test-taking tips, and expert views on evaluating SAT essays. Barron’s New New SATstudy guide is a particular and significant reference book that provides essential guidance for building strong fundamentals of SAT. All the components of SAT are well incorporated and are supported by examples. Barron’s 28th edition contains four full-length SAT mock tests with elaborate answers to each question. 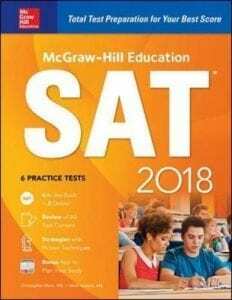 The purchase of this book also provides access to Barron’s online SAT prep course, which includes an additional set of practice questions and other useful input. Moving to the cons of this SAT book, you will find that some questions are easier than the ones that appear in real SAT. Also, the majority of the mathematics questions are almost the same as those in the previous edition and have remained unaltered. 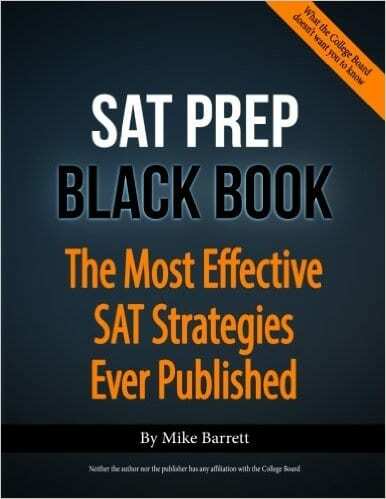 SAT Prep Black Book is one of the best SAT prep books if you are aiming to score high on the SAT exam. As the name of the book suggests, it gives you a big-picture view of strategies for tackling each section of the SAT. The Black Book provides practical strategies and a few different approaches, so you get the opportunity to execute as many as you can to find those that work best for you. However, the SAT Prep Black Book does not include SAT practice tests and is not substantial in itself. 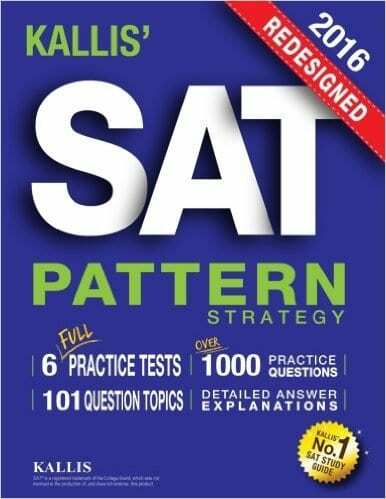 All in all, SAT Black Book is a must-have as it breaks down and crack the SAT in a systematic way. 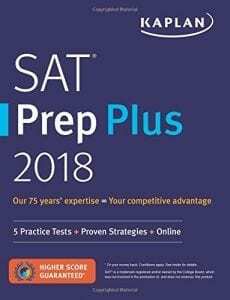 The SAT Prep Plus, 2018 is an excellent resource for preparing for the SAT. Kaplan’s New SAT is one SAT book that takes students from good scores to excellent scores, especially in math section. The good thing about this prep book is that it focuses well on test-taking strategies. This SAT book offers a significant number of practice questions and gives you abundant opportunities to implement the strategies learned. You will find some high-level questions in this book that are harder than the questions that appear in the actual exam. Hence, this is one of the best sat prep book for the students who want to go that extra mile and achieve the perfect score in math. In the verbal section, this text misses the mark. The practice questions and passages in Kaplan are not close to the real SAT and are just recycled older questions. Kaplan‘s New SAT also includes three different SAT practice tests to give you the actual feel of the real exam. To summarize, you can definitely go for this book for math section, but stay away from the verbal part. Princeton Review’s preparation book is appropriate for those looking to explore the variety of problems rather than theoretical concepts and testing approaches. 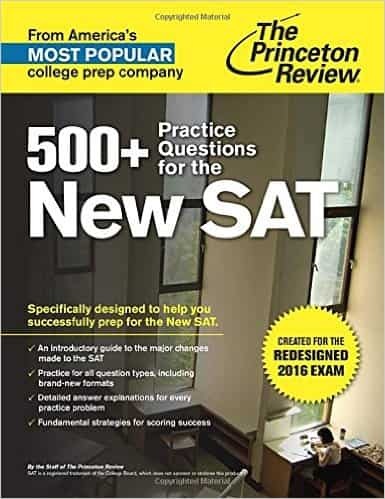 The New SAT book has a question bank of 500+ problems, which are created as per the New SAT format but lack the difficulty level found in actual SAT. 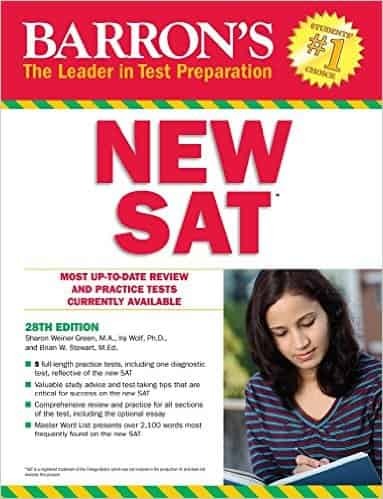 The problems are followed by detailed answer explanations that give step-by-step approaches on how to ace the new SAT. Perhaps the greatest shortcoming of this sat prep book is the absence of techniques and methodologies. 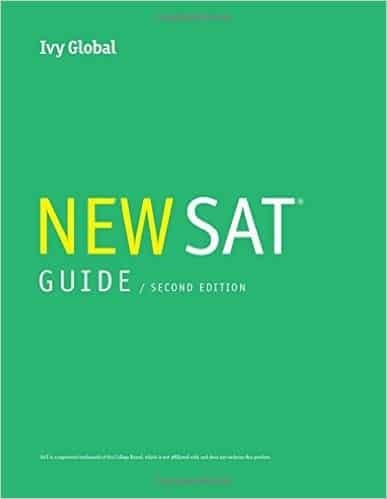 What makes this SAT prep book unique—besides providing practice questions and strategies—is that it explains the format of the test in detail, from the number of questions to time constraint in each section, so that you are aware how to best allot your time. You can begin by taking a diagnostic practice test and identifying your weak points. Once you have analyzed your focus areas, you can chalk out your study plan with the help of the book. Moving to the practice questions: They are rational and resemble questions in real SAT. This SAT practice guide will also help you to build a strong mathematical foundation, as it classifies the topics in detail, from Algebra, Problem Solving and Data Analysis to Trigonometry, Geometry and Complex Numbers. Apart from three full-length practice tests as per new format, McGraw-Hill Education SAT also includes progress reports, learning analytics, games, and quizzes. There are few drawbacks of the book as well, one of them being that, while there are practice tests, this book offers fewer. The other major flaw is that the Reading and Writing sections are not covered in detail and are not precisely modeled after the questions on the SAT. This prep book is perhaps the most exceptional and authentic among the best SAT prep book. ‘Boot Camp For Your Brain‘ is unique in its “boot camp” method, which focuses on strengthening memory by intentional repetition of study material throughout the book. The book is formulated to give equal weight to each section of the exam. 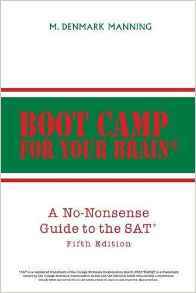 Boot Camp guide also uses the unique and engaging style of writing, and the SAT knowledge is delivered through techniques such as cartoons and mnemonics which is a great resource for visual learners seeking to grow their vocabularies. With its exhaustive and creative approach, there is a high possibility that the Boot Camp book will raise your score. 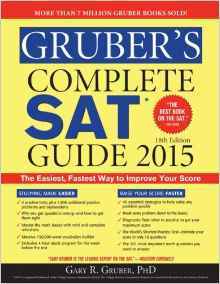 This is one of the most popular and best books among SAT aspirants and is written by Dr. Gary Gruber. Gruber uses the traditional textbook method and has not adapted to digitization yet. There are no additional online features that come with purchase, but this book continues to be a preferred choice with its vast content at an affordable price. The SAT study guide includes an important diagnostic test with extensive explanations; the Small Diagnostic Test is comprised of 90 questions. The books also contains the world’s shortest practice test, which consists of a mere 18 questions. And if you don’t have sufficient time for the preparation of SAT, you can always refer to the 101 most important math questions, a mini math refresher, and complete math refresher to develop expertise in mathematics. The book also offers five full-length practice tests and and additional 1846 questions that can help you to get rid of test anxiety. One of the disadvantages of the book is that the strategies and techniques are not well-explained and are inadequately emphasized. The Next book is Kallis’ SAT PatternStrategy, which is recommended for many students and educators. This book covers everything, such as structure, format, and topics. Explanations for each question is explained in the step-by-step answer, which is helpful for understanding your mistakes. Further, it also contains fundamental concepts in math, literature, and grammar. One can take a strategic approach in a test because the analysis of the different question types is given in-depth. Lastly, this sat study guide is a must-read as it delivers what it says. Dr. Steve Warner has provided a very comprehensive and clear content review with instructions. 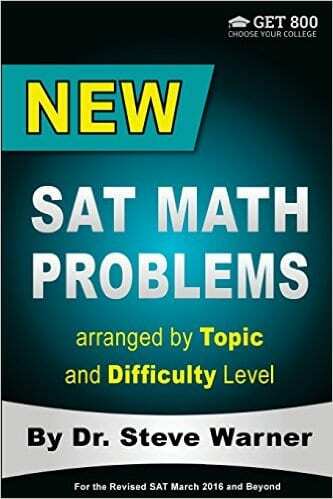 Students who find SAT Math very tough will find this book the best option available. Dr. Warner explains Algebra, Advanced Math, Data Analysis, Geometry and Trigonometry in a systematic format. Concepts are arranged by the level of difficulty—Level 1 is the easiest while, level 4 is classified as advanced. Different approaches are shown for answer explanations, which is very useful. 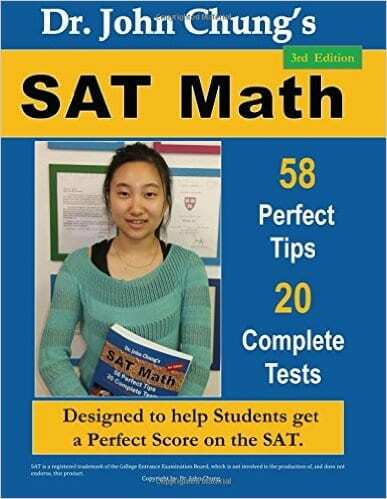 Go after this book to improve your performance on the math section of the SAT. Dr. John Chung’s SAT Math book contains a lot of practice questions within 10 Practice tests. This book is designed for students who want to achieve a perfect score. Students who already have a strong base in Math can find these tips useful. This SAT preparation Book will explain concepts pertaining to exponents, transformations, and linear functions. Once you gain strong conceptual knowledge regarding math, then attempt to solve the practice questions. This book is not recommended for those who have just begin SAT Preparation. This SAT book is most suitable for math preparation. New SAT Reading By Khalid Khashoggi is one of numerous books that focus on the SAT English Section. For example, New SAT Grammar and New SAT verbal tests are two competitors. The book includes intensive practice, which is important for improving reading skills and critical thinking. The author has an impressive 15 years of experience leading students toward considerable score increases. Khalid Khashoggi’s reading comprehension workbook provides practice on an advanced reading test. this practice book does not include any CD/DVD, and it is printed on demand. 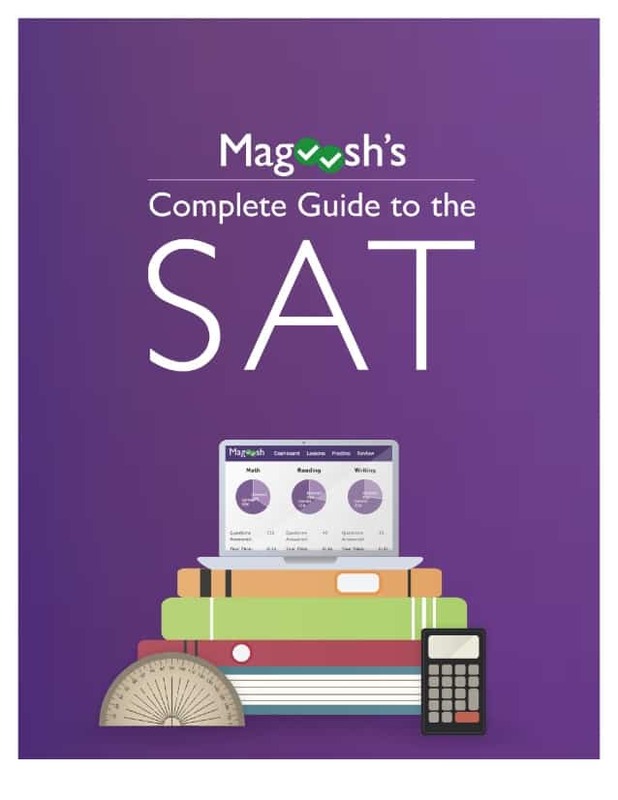 Magoosh is not a book, but an online SAT prep course. It is recognized as one of the best SAT prep courses. You can read their full SAT eBook through SlideShare or download their eBook for free, which includes 140+ individual lessons on SAT topics. 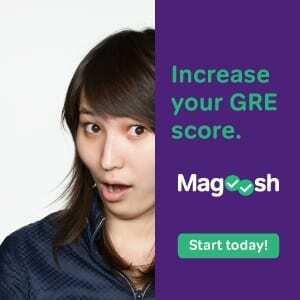 What makes Magoosh unique is that it has 700+ practice questions, each of which is accompanied by a video explanation. The videos will not only show you how to solve and what shortcut to use in each question but will also focus on the common mistakes made by students on those specific questions. One additional feature in Magoosh is the free accessibility of Vocabulary Flashcards online and through Android and iPhone apps. Apart from this, you can also check out your individual performance and monitor your own progress through the Magoosh dashboard. In this article, we have reviewed some of the best SAT prep books. You don’t need to buy all these SAT prep books to ace the SAT exam. But you are well advised to take the college entrance exam seriously. Get a good SAT preparation book as per your need, and you will undoubtedly achieve a high score. Solid preparation can boost your performance significantly. Really interesting stuff. I’m a ninth grader in Texas, and the Kaplan helped me get a 1550 on the SAT and I’m considering whether I should try retaking in an attempt to get a perfect score. Thanks for publishing this info! I will email my friends (Jennifer Xia, Irene Sung, Ritu Katurvedi, Nicole Russe, Katie Sha, Jessica Qiu, and Amy Su) this article 😀 I got a 1590 on the SAT and I want a 1600, so I will think about getting one of these books. Thanks for sharing the useful blog about SAT exam prep Books.